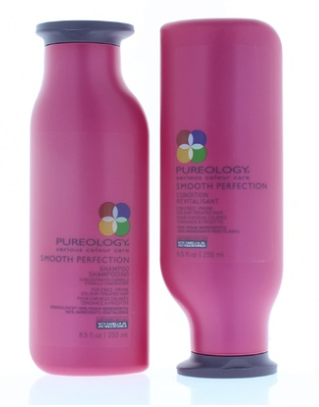 I have heard amazing things about Pureology hair care products! I have noticed that they tend to run on the more expensive side, so I wanted to share a deal that I spotted this morning on Groupon. Even better, they currently have a good selection from this product line to choose from. I’m finding Strength Cure, Smooth Perfection, Clean Volume, Perfect 4 Platinum, and Strength Cure Best Blonde. The 8.5 fl oz sizes are selling for $14.99 (reg. $28.99), and the larger 33.8 fl oz sizes for $39.99 (reg. $65.50). I do want to mention that some of the varieties have sold out, and it appears that this is a very popular deal on Groupon – over 100,000 purchased (wow!). So I would urge you to not wait around if you’re interested in this deal. Shipping is $3.99 or free with your total order of $35 or more. Head to Groupon to shop the Pureology selection. Do you use this shampoo brand? If so – I’d love to hear your experiences! Leave a comment below!